Dinesh Karthik was called up ahead of Rishabh Pant in the only variation in a largely predicted 15-member World Cup 2019 squad. 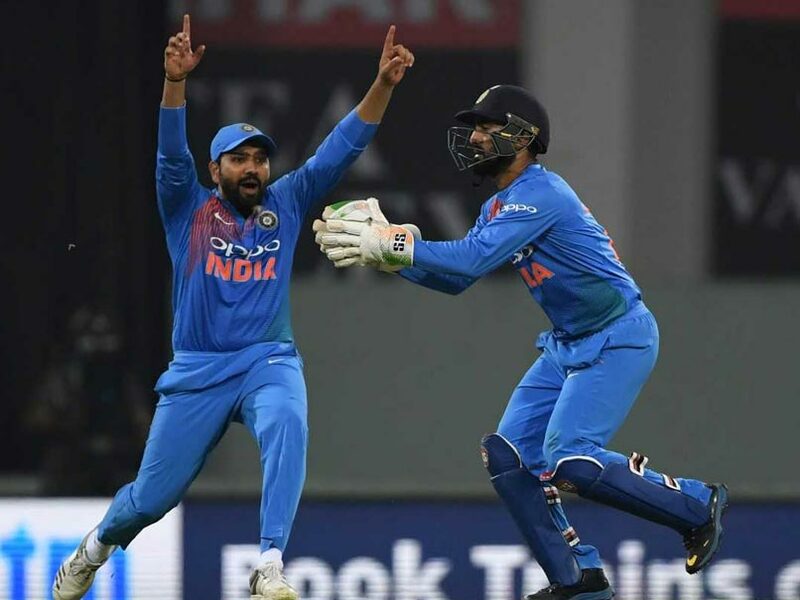 Dinesh Karthik rode on his experience to edge past 21-year-old wicket-keeper Rishabh Pant to book the reserve wicketkeeper's position in India's 15-member squad for the ICC World Cup 2019, starting on May 30 in the UK. The Board of Control for Cricket in India (BCCI) Honorary Acting Secretary Amitabh Choudhary announced the squad following a meeting with India captain Virat Kohli at the BCCI headquarters in Mumbai on Monday. "Wicket-keeping also matters. That is the reason why we went with Dinesh Karthik otherwise Rishabh Pant was also there," said Prasad, explaining why they picked Dinesh Karthik over Rishabh Pant. "The second wicketkeeper comes into play only if Mahi (MS Dhoni) is injured. We went ahead with Karthik because of his experience in big matches," Prasad explained further. Following India's World Cup squad announcement, Twitter exploded with fans, former cricketers and critics expressing their opinions on India's team combination for the mega ICC event. Former India opener Virender Sehwag wished Virat Kohli and his team, saying: "Best Wishes to Team India." Former India batsman Mohammad Kaif expressed his happiness for the selection of fast bowler Mohammed Shami and all-rounder Ravindra Jadeja, who he believes "fought their way back in". "Six months back, Mohammed Shami was nowhere near being considered for white-ball cricket, but some outstanding performances has ensured he plays his second World Cup. He and Jadeja have fought their way back in. There will be few disappointed players but best wishes to Team India," Kaif said on Twitter. Indian Premier League (IPL) teams also joined in the celebration and wished their respective players for being selected for the World Cup. Hard work definitely pays off! Blue is the colour for @imkuldeep18! Karthik's fans expressed their love for the seasoned stumper and wished him luck ahead of the World Cup. The Indian squad for the World Cup comprises five specialist batsmen, two wicketkeepers, three fast bowlers, three all-rounders and two specialist spinners.